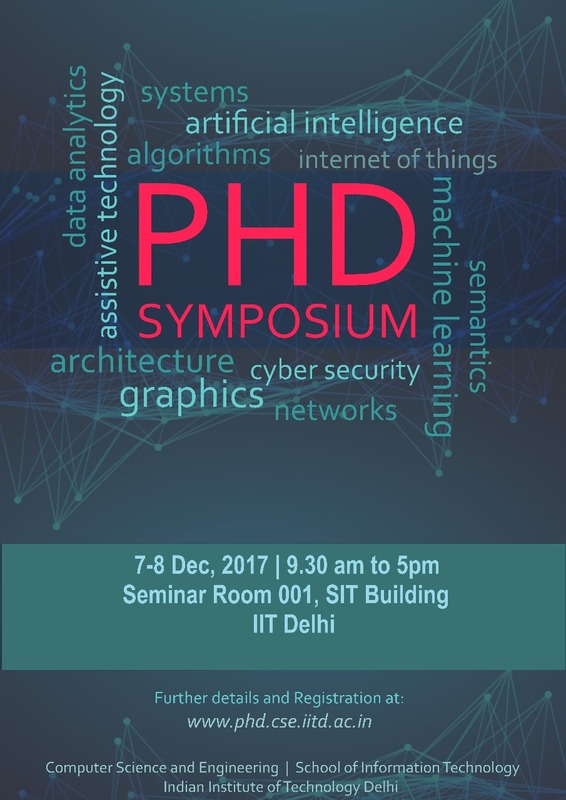 Department of Computer Science & Engg., IIT Delhi and School of Information Technology, IIT Delhi present its annual research symposium on 7th and 8th December, 2017. Please come and get inspired by amazing work done by research scholars in Computer Science & Information Technology departments. Please check out the key points brought up during panel discussion and feedbacks here. Department of Computer Science & Engg.